The PredictWind App is for inshore and coastal sailors and the Offshore App is for offshore sailors. Designed for usage on a cellular or Wifi network the PredictWind App displays the high resolution forecasts on your mobile or tablet. 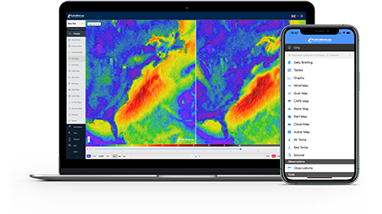 The PredictWind App lets you access PredictWind high resolution forecasts on the go over wifi or mobile data, in a mobile friendly format with simple pinch zoom and scrolling. 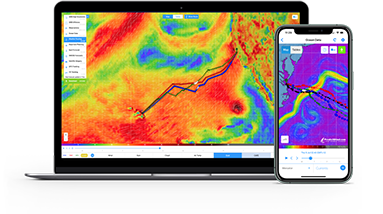 The Offshore App is designed for boats heading offshore with a need to download forecast GRIB data on a Satellite or SSB connection. The Offshore App has seamless integration with most Satellite and SSB systems. Be safe and confident of your offshore forecasts with access to the PredictWind PWG/PWE forecasts in addition to the ECMWF and GFS forecasts. 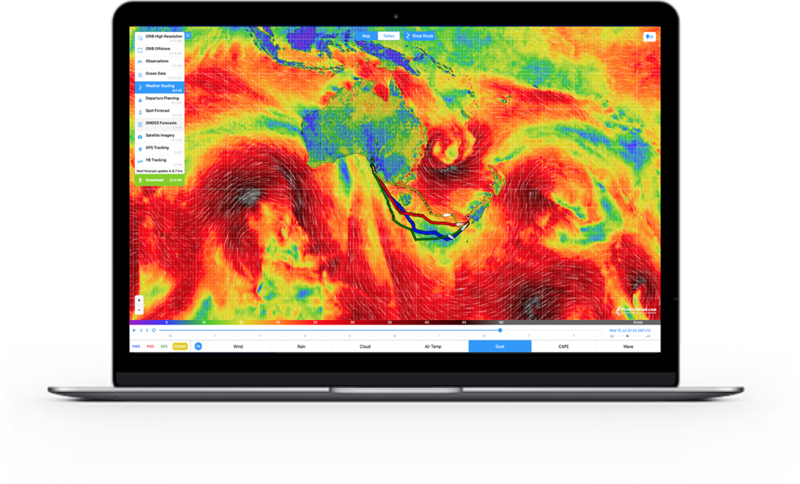 Get the most powerful forecast tools that are simple and easy to operate - Weather Routing & Departure Planning. Access PredictWind PWG and PWE global models in addition to the ECMWF and GFS models for your offshore passage. Available for Windows, Mac and iOS.